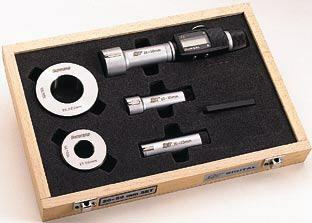 Fowler/Bowers XT Digital Internal Micrometers have been designed to further simplify the accurate measurement of bores. All XT instruments offer non-removeable anvils. Sizes above 1"/25 mm offer extended travel. They are available as individual instruments of in complete sets.